Colonial Medical is an authorized full line distributor of VetEquip Products. 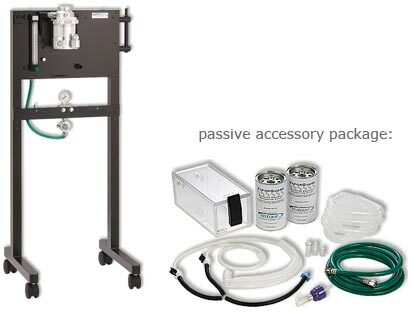 A revolutionary anesthesia system that combines the best features of every VetEquip system! The COMPAC5 has two independent breathing circuits and one to three independent vented induction chambers. 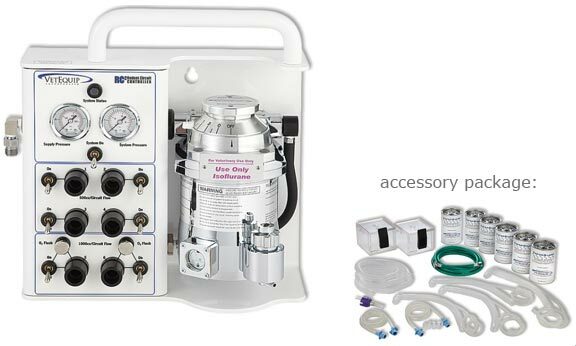 Set it on a counter top, carry it to the next room, tuck it in a cupboard, it's 13" x 13" x 15"
An anesthesia system designed for high volume, assembly-line type procedures. Anesthesia can be induced and/or maintained in four chambers, individually or simultaneously. 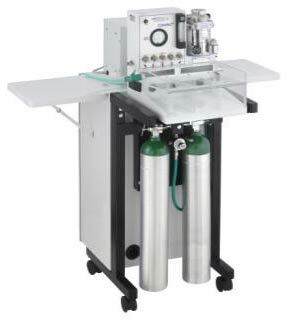 Bain non-rebreathing circuits on each side of the machine allow two investigators to perform procedures simultaneously. One dial setting delivers a consistent and safe anesthetic level. Manuals include a "cookbook" protocol which can easily be adapted to your facility's SOP. All waste gases are scavenged for easy evacuation. Breathing circuits allow flat, prone or supine positions with head access. Suitable for mouse, rat, hamster, gerbil, guinea pig, ferret, rabbit, cat, dog or small swine. Positive sealing gasket on induction chambers minimize exposure to any waste gases. Can be connected to in-house evacuation, a fume hood or a disposable charcoal filter for complete mobility. Designed for safe, simple and controllable inhalation anesthesia for rats, small rodents, exotics and patients weighing less than 5 pounds. 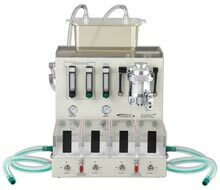 The VMR provides rapid control of anesthetic depth with little or no resistance to respiration. The VMR is adaptable to the needs of the researcher. 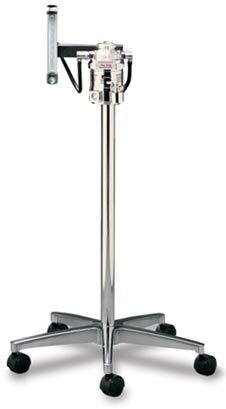 Dual-view oxygen flowmeter - glass tube with a fused scale that reads from 0-1000 cc/min - quickly switch from standard to magnified view at the touch of a finger. 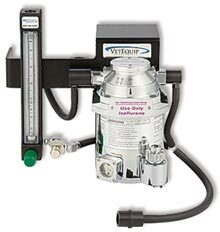 Includes Isoflurane or Halothane VIP 3000 vaporizer, well-fill or key-fill style, or Sevoflurane well-fill style VIP 3000 Vaporizer. 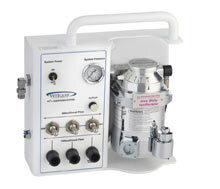 Designed for safe, simple and controllable inhalation anesthesia for patients weighing less than 5 pounds. 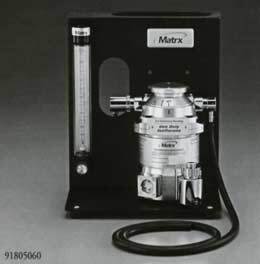 Includes Isoflurane or Halothane VIP 3000 well-fill style Vaporizer.